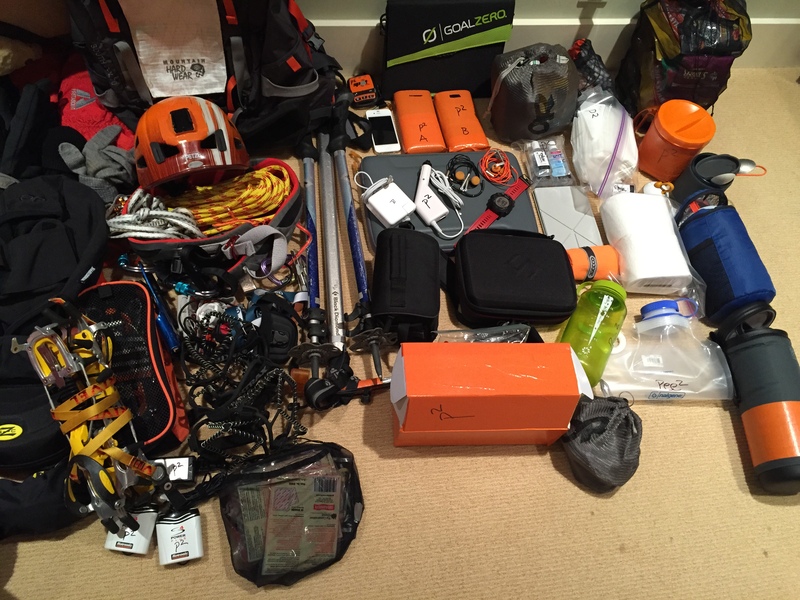 Up until 1:30 AM getting all the gear laid out… Phew, that is a lot of stuff to take! Fitting this into two duffels was painful, but it worked… trick is, I’m over-weight by about 10kg for the flight to Lukla later this week… I may need to get into a third duffel when I reach KTM. No bother, all is well! Now transferring music and video editing software onto the new MacBook Pro Retina… this baby can handle 4K video, which is exciting; it’s new technology, so there is not much 4K footage of Everest out there (that I know of). I will NOT be able to post in full res during the trip, but will try to squeeze out some short 720p sequences… the full 4K experience will have to wait until I get back. This stuff had better keep me warm up there…. 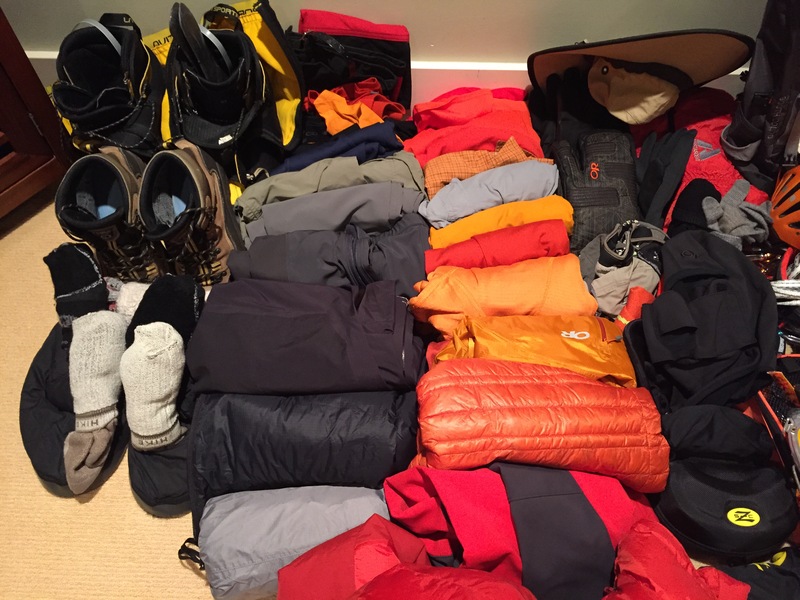 Gear, both essential and optional. If you want to see just what I am bringing, check out this video on my YouTube channel. Flight to Dubai leaves in about 5 hours…. Awesome! Can we get a closeup of the boots? How much do those suckers weigh? Paul, have a great time. We’ll all be thinking about you and your great adventure! You’ll ace it. Good luck. Thanks Uncle Dave, glad you are following along! This Blog page is awesome ! 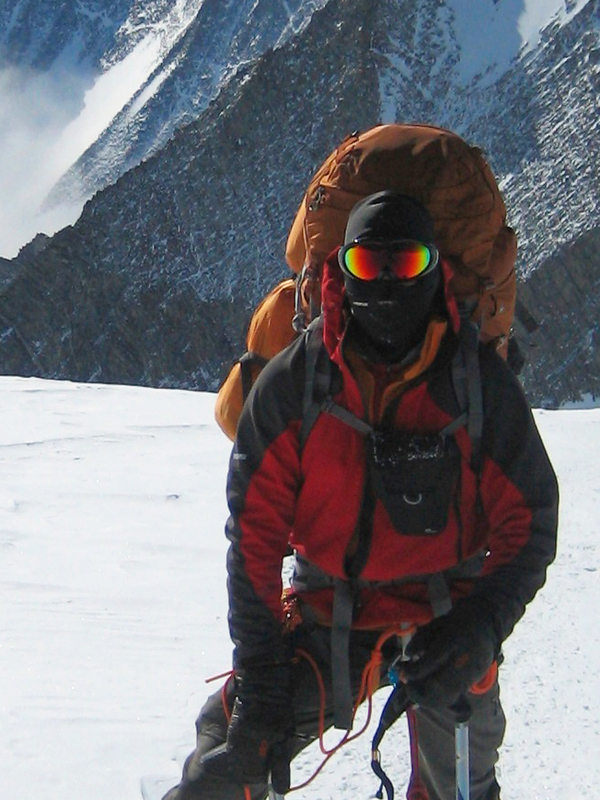 I hope you have the best of conditions for your summit attempt and can challenge yourself the way you’ve dreamed. Wishing your sherpa guides a healing season. Nothing will be better than to return to the mountains. Stay healthy. Stay Strong. Seven Summits. Thank you Trina… the only thing better than going to the mountains is going HOME afterwards. You are amazing, and an inspiration. Thank you for your support.